When I originally started writing this series, today’s post was supposed to be from South Bend on down. However, Tennessee and Iowa were so strong, that first article didn’t leave any room for Myrtle Beach. Unlike the last week’s list, which had a clear-cut pecking order, this list does not. I’m unsure of who is going to be where and that might be a good thing for the system. Spring training could be organized chaos as arms move between levels frequently. In the end, though, here are some names that I am going to keep an eye on as right-handed starting pitchers from class A on down. Because of the log jam at Iowa in Tennessee, Erich Uelmen will more than likely begin 2019 at Myrtle Beach. Uelmen looks to be the odd man out after struggling somewhat after being promoted from South Bend. I still like his off-speed stuff especially his sinker that kept Midwest League hitters off balance. Riley Thompson is another one of my guys. The big righty out of Louisville sits at 95 and if he develops any kind of secondaries this year, he’s going to do very, very well. He may be the most promising pitcher from last year‘s draft class. He’s not a finished prospect but he could really take off in 2019. Derek Casey was drafted out of Virginia and got in some work last summer at Eugene. However, he didn’t even throw 10 innings. Still, his experience in the ACC and throwing on a downhill plane makes it hard for hitters to square him up. I have been saying since August that he could skip South Bend and start 2019 at Myrtle Beach. Erling Moreno – This guy has a ton of talent but he just can’t stay healthy for an extended amount of time. Moreno has pro type stuff. He’s got a plus curve and can sit 93 to 95 with his fastball. The only thing stopping him is him. He should begin 2019 in the Carolina League. 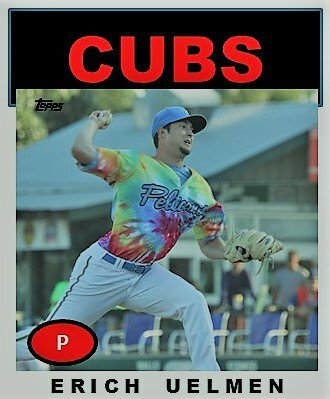 Richard Gallardo -The Cubs top international signing from last summer has been drawing a lot of praise in recent prospect lists. Both Fangraphs and Baseball America have Gallardo debuting in Mesa and not the DSL in 2018. He is going to be one to watch in 2019. Now that Anderson Tavarez is the new Mesa pitching coach, I am a little excited about his prospects. 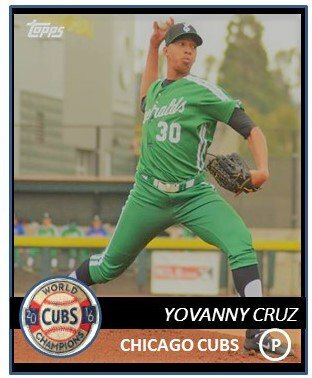 Yovanny Cruz – I came away extremely impressed with Cruz from just 1 start. After he spent most of the year in Mesa, he got a spot start in Eugene and just baffled guys with a curve, a changeup, and great command. At only 19. I want to see more of him, a lot more. Paul Richan – He got a lot of work in early in the summer for Eugene and then met his innings limit. He does have a plus curve and a nice change and he commanded his fastball well The problem is I don’t know if his fastball is going to be enough once he gets to Myrtle Beach. His off speed stuff will be fine in South Bend, but after that I don’t know what the future holds for him. That fastball needs to get up around 93 consistently. Peyton Remy is a guy who attacks the strike zone. He spent most of the summer in Mesa last year and the junior college product looked extremely polished sitting at 91-93. He was amazing for Eugene in long relief in the playoffs and he should be starting at South Bend to begin 2019. Danis Correa – Two summers ago, he was the talk of the Dominican Summer League as he was pushing the upper 90s. An injury last spring sidelined him for most of 2018 but he was able to rebound and pitch two scoreless outings for Mesa. He will only be 19 and should be at Eugene to start 2019. Jeremiah Estrada – 2018 was a blank season for the young California kid, but everyone is still anxious to see how his pro career is going to go. 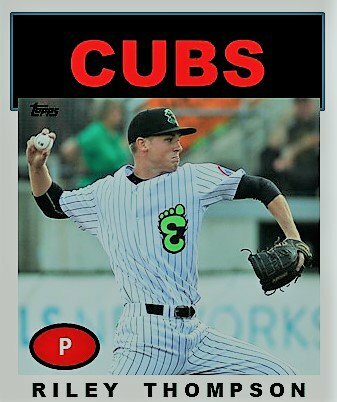 I expect to see the 2017 6th round pick to 2019 in Eugene as the Cubs will probably take it slow with him coming off Tommy John surgery. 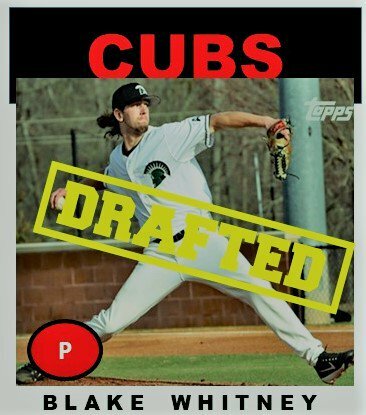 Blake Whitney is probably the guy everyone is saying, “Who the hell is Blake Whitney?“ Well the 29th round pick out of South Carolina Upstate did very well as a starter last year in Mesa for the Cubs 2 team and should be in competition to start in South Bend. He had an ERA of 2.30 in 31.1 IP with 37 Ks. That bodes well..
Part of me wonders if I’m only halfway through this list. I don’t know how Jaron Madison, the Cubs director of player development, is going to get these guys innings this summer to continue their development. I didn’t even mention names like Javier Assad, Eury Ramos, Jesus Tejada, Jesus Camargo, Jose Albertos, and Kohl Franklin. The Cubs have a lot of arms in play and some of these guys could start anywhere from Eugene up to Myrtle Beach. It will be interesting to see who is assigned where and for how long. These are good problems to have. I remember 7 winters ago, it was a system devoid of pitching. Now, it’s brimming with it.